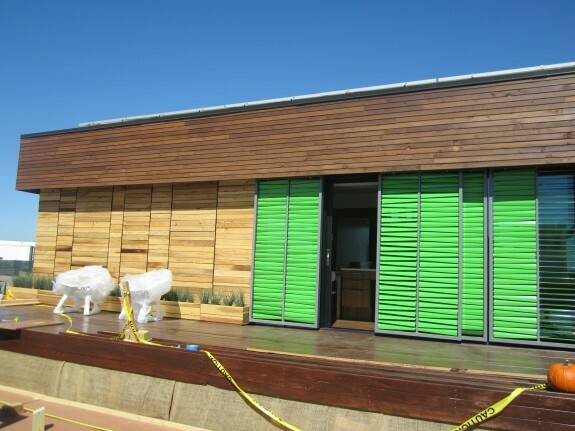 Hear about the Solar Decathlon on the Reporter’s Notebook of this Which Way LA. 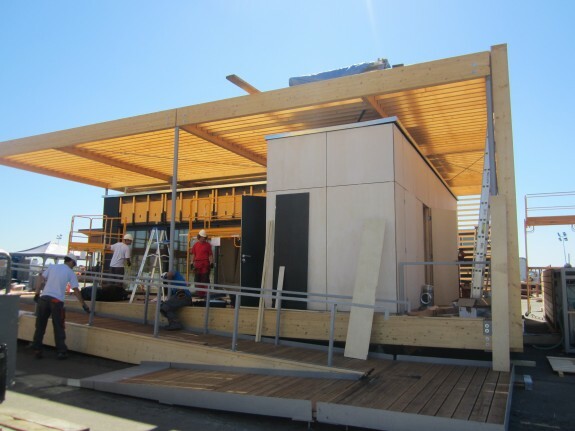 Since 2002, the Solar Decathlon has been a biennial competition hosted in Washington D.C. that has challenged collegiate teams with the task of designing affordable, sustainable and attractive solar-powered homes. But this year they parted with tradition and the event has come to the Golden State in Irvine’s Great Park. Founder Richard King says, “we wanted to take the event around to educate others around the country, its been 10 years in DC, those people get it now”, though some wonder if there’s a political dimension to the move. Some grumble that the Republican-lead House does not want to promote support for solar in the nation’s capital; others say that representatives did not like to seeing the Mall’s turf scuffed up by the temporary houses. DnA’s Frances Anderton and Caroline Chamberlain went to the event before its unveiling and spoke with some of its contestants, who were rushing to complete their homes in time for the press unveiling today. 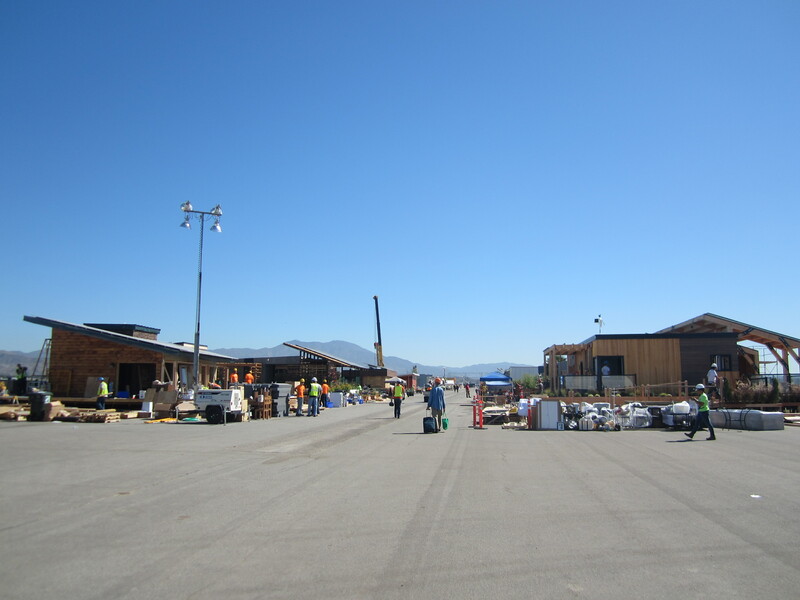 Nineteen houses, created by college teams from as far afield as Austria and the Czech Republic, and as close to home as SCI-Arc/Caltech and USC, form a street under the open skies of the Great Park (above). 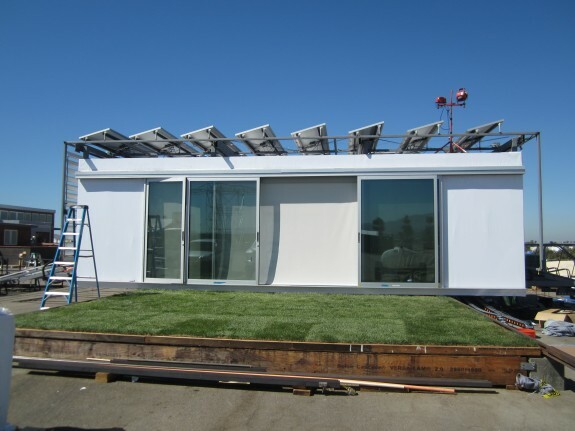 Each house is approximately 1000 square feet and is designed to utilize net zero energy. Teams were each given $100,000 but also used extensive volunteer labor and donated materials to realize projects worth substantially more. 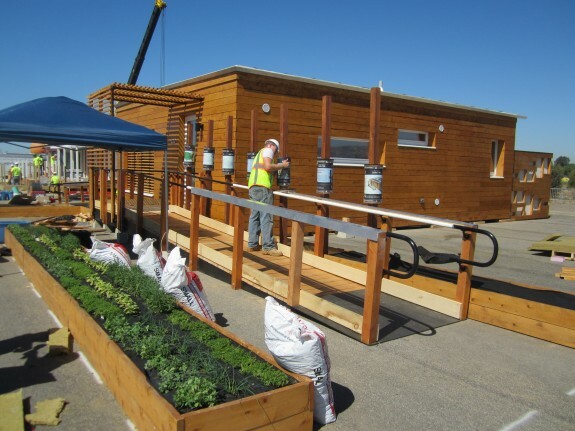 Student designers deployed a combination of design features, including, of course, sheets of photovoltaic cells, but also passive energy-saving features like cross-ventilation, “green” walls. A very interesting aspect of the designs this year was that in talking to the designers, one got the sense that the solar power features were a given — reflective of how far solar technology has come, though it still needs to garner many more users, says Richard King. Instead, designers emphasized the program and how it would serve the proposed users of their houses. 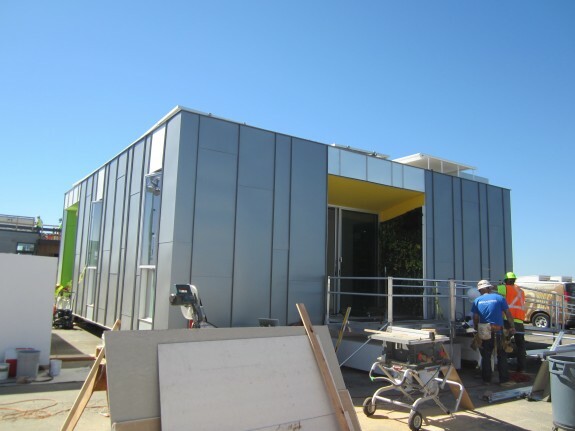 USC, for example, is reconfiguring the “suburban” home for today’s changing family;’ the Czech Technical University designed theirs with elderly people in mind, and Team Capitol DC modeled theirs for disabled veterans. 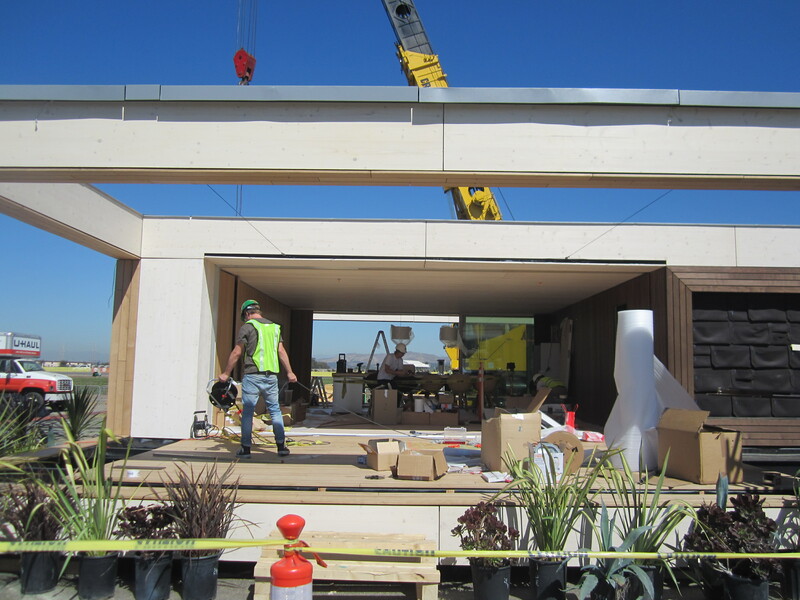 The Solar Decathlon will open to the public Thursday October 3-Sunday October 6 and Thursday October 10-Sunday October 13. Great Park is also hosting a larger event in the spirit of efficiency involving cars, agriculture, home gardening and home appliances. The event is free to the public and attendees are encouraged to come to learn more ways to save energy, money and the planet. Following are some of the designs, still under construction, and some team members’ comments on what is unique about each of their projects.